Dr. José Rizal - The Song of Maria Clara. 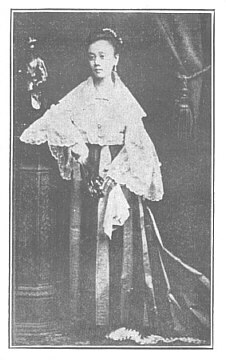 Maria Clara is one of Rizal's immortalized characters in his Noli Me Tangere novel. It is widely believed that the character was based on Rizal's real life cousin, Leonor Rivera. And the eyes at each other´s glimpse are smiling.